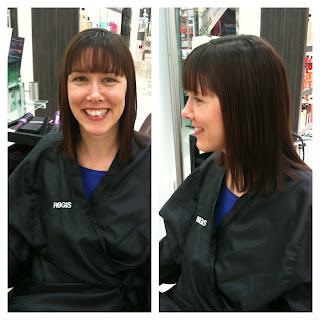 I was recently lucky enough to be asked if I would like to have my hair done at the newly refurbished Regis Salon in The Friary Centre in Guildford and given my recent post about my hair falling out after having Noah I thought it could definitely do with a revamp. You'll be pleased to know that my hair has stopped coming out in handfuls and and has really settled back down! Haircuts really feel like a luxury to be honest, it's a nice bit of time out from being mum, so when I dropped Isla off to my mums and drove off in the car, I felt really happy! 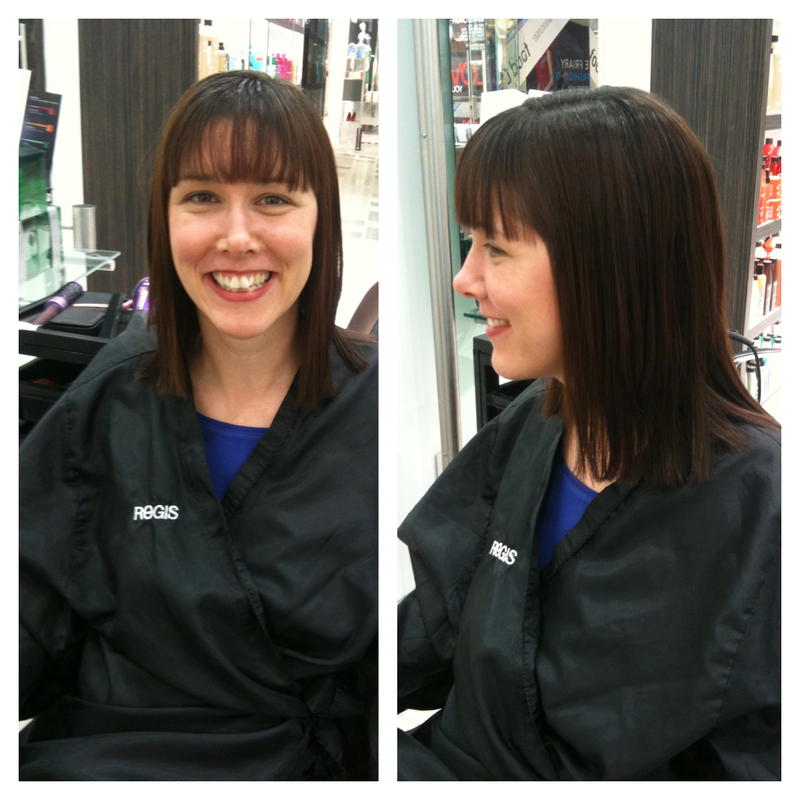 I explained all about the hair loss to Sherry, my stylist for the appointment and she was so sympathetic. I decided that I'd have my fringe trimmed back up (to hide all the hair regrowth round the front of my face) and have a good chunk cut off the rest. It felt like the appointment whizzed by as we chatted the whole time, kids, Croydon riots, teeth braces, and hair products, a real wide spectrum of topics! I had a conditioning treatment on my hair and then Sherry set to work taking off the 3 inches that I asked for. And the result is the haircut above. I never have time to blow dry my hair properly at home, so I always love that part the best. It was a really pleasurable experience and the salon refit has really put life back into the place. It's light and bright and the staff were very friendly. I'm also a big fan of Kerastase products which are stocked at Regis. I walked out of the salon and felt great! I'd definitely go back there in the future, the haircut was a reasonable £35 and the conditioning treatment would have been another tenner on top. When I left the salon I took advantage of being child free, did a little bit of window shopping in the town and then rushed back home to be mum! The haircut and conditioning treatment were free of charge in exchange for this review. My review is given honestly and in my own words.